The government has flagged using the defence dollar as part of its vision to grow the Australian economy. 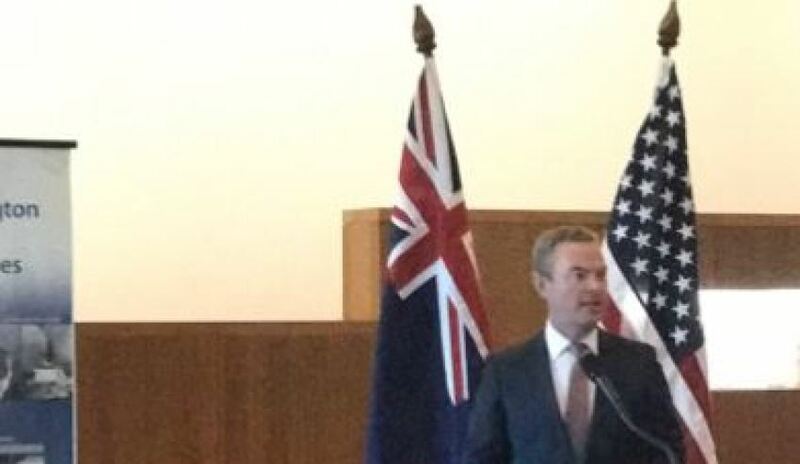 Speaking at a conference in Canberra, Minister for Defence Industry Christopher Pyne said the defence industry will be a key player in leading the charge to economic prosperity in Australia. "Using the defence dollar to drive the take-up of high-technology and give new impetus to our already advanced manufacturing industries is central to our vision of a resilient future Australian economy," Minister Pyne said. Minister Pyne stressed it is essential that defence expenditure is not localised into one state, but rather shared around the nation. "Ensuring the benefits of this expenditure are shared nationally is also essential," he said. "We want to see growth of a future economy where the impact of defence work is felt throughout Australian industry and in every corner of our nation." Minister Pyne is confident the government will achieve its goal of defence driving the economy, with the industry already making headway in the last financial quarter. "Already, defence industry appeared in the national accounts last quarter as being a driver of the economy," he said. "This can only be built upon by strong strategic planning and government, defence, academia and industry working together in pursuit of a common outcome." The Defence Industry Policy Statement, released as part of the 2016 Defence White Paper, has been cited as a key asset for achieving positive economic outcomes. "We need to always review and adjust our approach as we seek to meet our strategic needs," Minister Pyne said. "This is what the Defence Industry Policy Statement provides us with – the framework to strategically plan and manage industry capability and capability by Defence."